Andrew has been diagnosed with Leukemia. His family needs help. May 5, 2007 to help with Andrew�s medical bills. ALL PROCEEDS FROM THIS PAGEANT WILL GO TO THE McCORMICK FAMILY TO HELP WITH MEDICAL BILLS. We would love for the All American Miss & Southern USA Queens and Kings to join us on May 5th. Entry forms will be mailed out next week. This will be a Glitz and Natural pageant. You may enter Glitz or Natural. E-MAIL: K-AND-L@CENTURYTEL.NET OR CALL: 1-256-463-4879 FOR ENTRY FORMS. YOU MAY WIN BOTH PAGEANTS. IF YOU COMPETE IN BOTH EASTER PAGEANTS YOU WILL BE ELIGIBLE TO WIN ANOTHER $500.00 SAVINGS BOND. WE WILL ADD BOTH PAGEANT SCORES TOGETHER FOR A GRAND TOTAL. THE OVERALL EASTER HIGHPOINT WINNER WILL RECEIVE A 6 FOOT TROPHY, FUR-TRIMMED ROBE, BEAUTIFUL 10" RHINESTONE ALL AMERICAN MISS LOGO EASTER CROWN, MONOGRAMMED BANNER, PLUS GIFTS FROM EVERY CONTESTANT IN THE APRIL 14TH PAGEANT. We will also have a highpoint winner in each age group at the April 14th Easter pageant in Cullman. EVERY CONTESTANT THAT PARTICIPATES IN ONE OF THE EASTER PAGEANTS WILL RECEIVE THE SUPREME PACKAGE PAID TO THE ALL AMERICAN MISS NATIONAL PAGEANT AND THE SOUTHERN USA NATIONAL PAGEANT. LOTS OF FUN AND EXCITMENT!! OVER 55 NATIONAL ALL AMERICAN MISS LOGO CROWNS WILL BE AWARDED! EVENTS: BEAUTY, SPORTSWEAR, WESTERNWEAR, CASUALWEAR, SWIMWEAR, PHOTOGENIC, PORTFOLIO, COMPOSITE, AND TALENT. YOU DON'T WANT TO MISS THIS NATIONAL. CLICK ON THE BANNER TO VISIT US TODAY!! The Pageant That Treats Every Contestant As Royalty! Fees off Florida Open State and More. Crowning Beauty is Proud to Introduce Little. Miss Maryland!! OUR FIRST EARLY BIRD SPECIAL IS GONE. SAVE... SAVE�SAVE�ENTER BY MARCH 16, 2007 AND RECEIVE ONE ADDITIONAL EVENT FREE FROM ARG AND SIDE AWARDS FREE FROM AGJ. YOU MAY USE ANY DISCOUNTS WON IN ADDITION TO THE EARLY BIRD SPECIALS. BOYS MAY NOW ENTER BOTH SYSTEMS. AGJ HAS ADDED BOY DIVISIONS FOR THIS EVENT. NUMBERS ARE LOW..
WE HAVE ADDED A PRIZE TABLE. CHOOSE A PRIZE AFTER EACH STAGE EVENT. THIS IS A ONE DAY PAGEANT.. SAVE SAVE SAVE WITH JUST ONE HOTEL STAY� ONE H&M FEE�ONE TRAVEL EXPENSE AND BOTH SYSTEMS HAVE REDUCED THEIR SUPREME ENTRY FEE TO A LOW LOW $150 EACH TO SAVE YOU EVEN MORE..
2 SEPARATE JUDGING PANELS� 2 SEPARATE AWARD CEREMONIES� 2 CHANCES TO WIN FEES OFF TO 2 OF THE BEST NATIONALS IN THE NORTHEAST..
AMERICA�S REGAL GEMS WILL HOLD THEIR 5TH ANNIVERSARY NATIONAL ON AUGUST 25, 2007. YOU DON�T WANT TO MISS THIS SPECTACULAR EVENT. BIGGER, BETTER MORE EXCITING THAN EVER. AWESOME DIAMOND DESIGN CROWNS, CUSTOM EMBROIDERED SASHES, GREAT GIFTS, SPECIAL ANNIVERSARY GIFTS FOR ALL.. OVER $15,000 IN PRIZES TO BE AWARDED AT THIS EVENT. America's Genuine Jewel Nationals is October 5-7, 2007 with Mr. Tim and Labelle Fille. Over $20,000 in cash and prizes awarded. 40 National titles for AM & PRO... and that CARNIVAL CRUISE FOR 4! NO PRORATING BY EITHER SYSTEM. BOTH SYSTEMS WILL SPLIT AGE DIVISIONS WITH 10 OR MORE CONTESTANTS. BOTH SYSTEMS WILL ADD ADDITIONAL TITLES WITH 40 OR MORE CONTESTANTS. THIS IS GOING TO BE A GREAT EVENT.. DON�T MISS ALL THE FUN AND EXCITEMENT. Introducing Little Miss. Maryland ~ Get Your State Title Today ** Titles are guaranteed ** Beautiful Crowns and more !!!! Embroidered Banner, Gifts and more. All Packages mailed within 48 hrs. NES (Naturally Elegant and Simple) is going back to basics!!! Final Deadline To Pre Register for Gainesville area pageant, Guest Book Drawing at www.crowningbeauty.net guest book link on home page!! On Line State Titles also available!! If You have photos from the pageants please email ASAP. When signing Guest Book please include Contestants name, age and which pageant you want to attend. Prizes For Every Contestant. Every Contestant receives a Beautiful crown and gift bag. Guest Book Drawing going on now. Visit website for guest book link. Join Us at a upcoming pageant!! Celebrating 21 Years of Excellence in Pageantry! Early Birds get FREE Hotel Rooms! Don't Miss this Special, it will be good through March 1, 2007. This special will not be extended or repeated. We now have directors for New York, Pennsylvania, Connecticut, Massachusetts, Rhode Island, New Jersey, Delaware, Virginia, North Carolina, New England OPEN and possible directors for Maine, Vermont and, New Hampshire- and we're looking for directors for other states!! In 2007 NES NATIONALS is going BACK TO BASICS - If you are interested in joining our NES Family, visit the NES website for details!!! 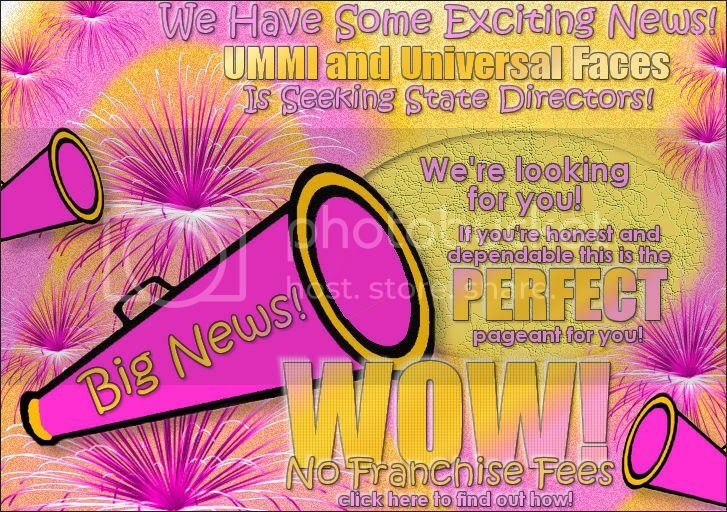 We have State Pageants coming for New York, Connecticut, Massachusetts, Rhode Island, Virginia, North Carolina, New Jersey, Pennsylvania, Delaware and New England OPEN.....we are looking for directors for other states!! TWICE THE AWARDS/TWICE THE FUN!!! WILL GO HOME WITH A TROPHY AND CROWN! AND GO HOME WITH TWO $500.00 SAVINGS BONDS. TO BOTH ALL AMERICAN MISS NATIONAL AND SOUTHERN USA NATIONAL PAGEANT. Sign the Guestbook, you could win $100 off - We have a new Guestbook - go sign it, every once in a while we draw a name for more!! Don't forget to book your hotel room! Book your shoot today ! Don't let the 40 spots fill up with out YOU! HAPPY NEW YEAR FROM ALL AMERICAN MISS. START 2007 OFF WITH THE ALL AMERICAN MISS MINI NATIONAL!! THE PAGEANT IS VERY SMALL. WE NEED CONTESTANTS. IF YOU DID NOT GET YOUR GIFT OF $100.00 PAGEANT CASH, PLEASE E-MAIL US FOR THIS FREE GIFT. THEN YOU ARE A HIGHPOINT WINNER. HIGHPOINT AWARDS WILL BE GIVEN OUT DURING CROWNING. WE WILL HAVE 30 HIGHPOINT QUEENS/KINGS FOR THE 2006 YEAR. YOU COULD WIN A $1,000.00 SAVINGS BOND, A BUCKET LOGO CROWN, A 10" LOGO CROWN, GIFTS, MONOGRAMMED BANNERS, LEE MIDDLETON DOLLS, AND A LOT MORE. DON'T FORGET TO ASK FOR YOUR $100.00 PAGEANT CASH. VISIT THE WEBSITES HTTP://ALLAMERICANMISS.COM OR HTTP://MISSSOUTHERNUSA.COM All American Miss Mini National!!! TO USE ON ALL AMERICAN MISS MINI NATIONAL. ALL AMERICAN MISS MINI NATIONAL � JANUARY 20-21, 2007. COME WIN A $1,000 SAVINGS BOND!!! BEAUTIFUL ALL AMERICAN MISS LOGO CROWNS. 52 Mini National Queens/Kings. Don't miss this pageant!!! Enter Supreme Package for $150.00 OR $50.00 WITH YOUR PAGEANT CASH. Supreme Package includes: Beauty, Sportswear, Photogenic, Most Beautiful, Best Dressed, Best Smile, Overalls to each of those plus the Grands. Gorgeous Monogrammed Pageant, long flowing robes, gifts, and lots of fun!!! 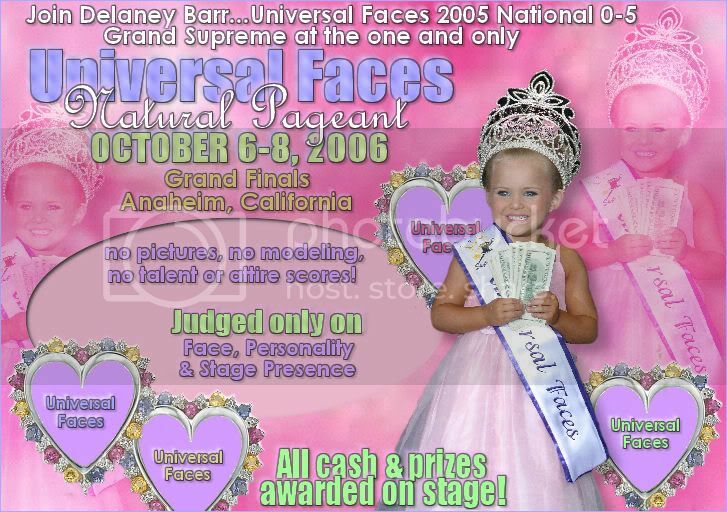 E-mail us for discounts on this pageant. Great prizes including cash for the highpoint, crowns, trophies & sashes! NATURALGRAND SUPREME $1,000 just added! MERRY CHRISTMAS AND HAPPY NEW YEAR FROM ALL AMERICAN MISS. $100.00 GIFT CERTIFICATE FROM ALL AMERICAN MISS. 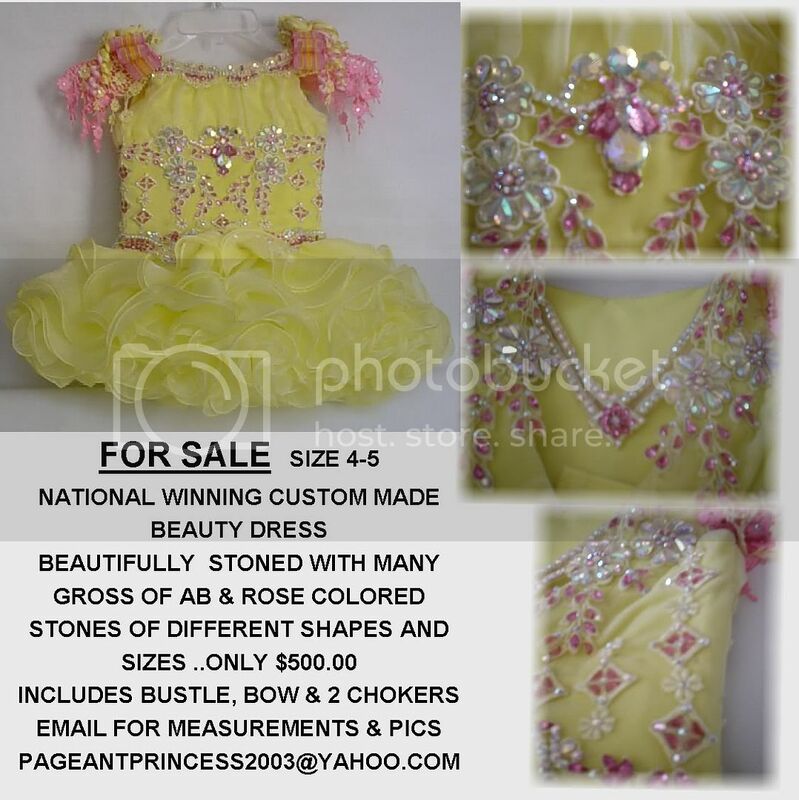 OR SOUTHERN USA NATIONAL OR MINI NATIONAL PAGEANTS FEES. JUST E-MAIL US K-AND-L@CENTURYTEL.NET AND ASK FOR YOUR $100.00 GIFT CERTIFICATE. WOULD YOU LIKE TO BE THE 2006 HIGHPOINT QUEEN OR KING? THEN YOU MAY BE A HIGHPOINT WINNER. ASK HOW YOU CAN BE A HIGHPOINT WINNER. YOU COULD WIN A $1,000.00 SAVINGS BOND, A BUCKET LOGO CROWN OR A 10" LOGO CROWN, GIFTS, MONOGRAMMED BANNERS, BICYCLES, DOLLS, AND A LOT MORE. WE GIVE AWAY PAGEANT CASH EVERYDAY FROM THE WEBSITE. SIGN THE GUESTBOOK AND WIN PAGEANT CASH TO HELP ON YOUR FEES. HTTP://ALLAMERICANMISS.COM OR HTTP://MISSSOUTHERNUSA.COM All American Miss Mini National!!! 52 Mini National Queens/Kings. Don't miss this pageant!!! Enter Supreme Package for $150.00. Book Friday December 8th Save $100 Off A Print! Winner will get 2 nights stay paid! LAST PHOTO CONTEST ~ Before the Pageant! Plus more titles to be awarded! Paperwork is now available ONLINE or we can email an application to you!! Plus Event winners in each age division! Great prizes! 3 Levels of competition! Click Below to Email us Today!!! All American Miss ~ Christmas!!! JOIN US IN ANNISTON/OXFORD, ALABAMA ON NOVEMBER 4, 2006 FOR CHRISTMAS IN ALABAMA (formally the Holiday Inn) RATES $52.00 FOR DOUBLE OR KING. ENTER BY OCTOBER 20TH AND RECEIVE A LARGE CHRISTMAS STOCKING ON STAGE!! EVERY CONTESTANT WINS A NATIONAL TITLE. JOIN US FOR ALL THE FUN. DOLLS, BICYCLES, CHRISTMAS PRESENTS AND MUCH, MUCH, MORE. Every Contestant will win a National Title!!! $1,000, $500.00 and $100.00 Savings Bonds!!! Click on the Banner to e-mail for entry forms today!!! HAIR AND MAKEUP VENDORS ARE LISTED BELOW. IF YOU WOULD LIKE TO BE ADDED, PLEASE E-MAIL OR CLICK ON THE BANNER. You Can't Miss This Double!!! Win Two $500.00 Savings Bonds!!! Double the awards! Double the Fun! Fur-Trimmed Robes, gifts, Christmas Stockings. WE'VE We�ve Added More Titles & Chances to Win!! If You're Honest And Dependable We Need You! THEN YOU MAY BE A HIGHPOINT WINNER. ASK US IF YOU ARE A HIGHPOINT WINNER. Entry Fee is only $65 For The Supreme Package! You can win $15, off of the $65 Supreme Package if you bring a friend or need a sibling discount! Bring 2 friends and you enter the Supreme Package for free! Bring 3 friends, enter all events (except talent & Best Friend) for free!!! 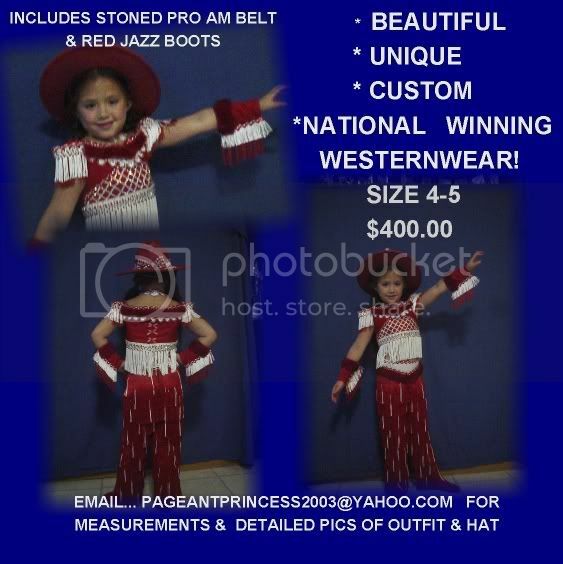 Awards include, gorgeous rhinestone crowns, wrap banners, trophies, gifts, pageant candy goodie bags! Plus, every contestant wins $50.00, off to the Candy Cane Christmas National on November 04, 2006, in Atlanta, plus their Supreme Package paid to the 2007 America's Finest Kings & Queens, "Puttin On The Ritz" National Pageant!! Come Win 3 $5000 Savings Bonds Awarded On Stage & 60 National Titles! You Want It? Designs By Wish Can Design It & Post It! A board designed for all your pageant needs! buy, sell, rent, & trade all your pageant items free! visit today! click on the banner to shop! Tired of posting your own code? Let us do the work for you! We can saturate the boards with your code--giving you more business! Proven results! When it has to be right, write us! Click on the banner to e-mail us. **FALL SPECIAL*** - $40.00 / Month for any one code that has up to 3 multiple CODES inside it. This means you may combine up to three banners. IMAGINE YOUR FACE ON A CALENDAR FOR ALL TO SEE. It could happen to YOU. Starting on September 1, 2006 thru November 15, 2006 we will run a calendar photo contest. We will choose 9 photo finalists on 4 different dates. We will then choose 12 calendar girls or boys one representing each month from the 36 finalists. Those 12 will receive a crown, sash and will be featured on our calendar. The remaining 24 contestants will be featured on the back of the calendars. Calendars will go on sale in January 2007. They may be ordered ahead of time or will be available for purchase thru our website or at any of our events. One Overall Photo Winner will receive Sammy's Spirit Award from America's Regal Gems (Crown, Custom Sash and goodies bag of gifts. All finalists will receive $20 credit to America's Regal Gems sister pageant America's Natural Beauties & Perfect Pearls Holiday National being held November 18, 2006 at the Sheraton/Bradley CT.
All contestants entered who attend ANBPP Holiday National will receive a special gift. You may use a theme photo such as Xmas, Easter, 4th of July, beach picture, costume, etc.. Remember we are looking for calendar girls and boys. Contest is open to everyone. Photo entry fee is $10 per photo. You may pay thru paypal to AmerRegalGems@aol.com or mail your payment and/or photo to America's Regal Gems ** 41 Pleasant St. ** Somerset, MA 02726-4119 For returned photos please enclose a self address stamped envelope. DON'T MISS THIS EXCITING NATIONAL..
LOTS OF HOLIDAY GIFTS, HUGE STOCKINGS FILLED WITH GIFTS IN ADDITION TO CROWNS, SASHES, BONDS, GIFTS AND SO MUCH MORE..
LOW LOW ENTRY FEE .. SUPREME PACKAGE ONLY $200 ..
WE HAVE MANY SUPREME TITLES TO AWARD..
SUPREME WINNERS ARE BUMPED FROM EVENTS..
NO PRO RATING... ALL TITLES, PRIZES, GIFTS, SAVINGS BONDS ETC, WILL BE AWARDED REGARDLESS OF NUMBERS. EVERYONE RECEIVES A GIFT.. NO ONE GOES HOME EMPTY HANDED.. ENTER BY SEPTEMBER 30, 2006 AND RECEIVE 2 OPTIONALS FREE..
DON'T DELAY.. CONTACT US TODAY AND JOIN ALL THE FUN AT THE ANBPP HOLIDAY NATIONAL.. This is the place to be Oct 28th. Come win crowns, banners, trophies, and CASH! Click banner to check out our website for more information! Join us for our 4th annual Miss Liberty 2006 Pageant! Click banner to go to website for more information! You asked and We listened. Since we do not have a score for clothes we are allowing any formal or swim suit, it does not have to be off the rack. This way you will not have to go buy anything new, plus right now people are having a hard time finding OTR Swim suits. All other rules still apply. Universal faces is judged by face, personality & stage presence. $495. (With $150 deposit) EARLYBIRD DISCOUNT EXTENDED TO SEPTEMBER 5th! It's going to be a Blast, you will not want to miss it! *** ?? Who Is The Cutest Kid On The Block ??***!!! CUTIES SHOWCASE PAGEANT !!! COME WIN A $5,000.00 SAVINGS BOND - GUARANTEED - (CLICK ON THE BANNER TO VISIT OUR WEBSITE) MISS SOUTHERN USA NATIONAL - SEPTEMBER 22-24, 2006 - The first 50 Pageant Contestants that e-mail us will receive $100.00 Pageant Cash and the Supreme Package Paid to the Southern USA National - September 22-24, 2006 in Panama City Beach, Florida. You will represent your State at the Southern USA National Pageant. THIS IS A SPECIAL AWARD FOR YOU!!!! WE WOULD LOVE FOR YOU TO COME PANAMA CITY BEACH, FLORIDA TO REPRESENT YOUR STATE AT THE MISS SOUTHERN USA NATIONAL PAGEANT SEPTEMBER 22-24TH. THIS NATIONAL IS FOR GIRLS, BOYS, AND LADIES. SOUTHERN USA DOES NOT TRAVEL OR HAVE DIRECTORS IN EVERY STATE SO WE RELY ON GIVING CONTESTANTS THE SUPREME PACKAGE PAID TO COME REPRESENT THEIR STATE. WE NEED CONTESTANTS FROM YOUR STATE. YOU MAY WIN BOTH THE STATE TITLE AND THE NATIONAL TITLE IN THIS NATIONAL PAGEANT. THERE WILL BE A STATE WINNER IN EACH OF THE 21 AGE DIVISIONS. IF YOUR NATIONAL PAPERWORK IS RECEIVED BY SEPTEMBER 10TH YOU WILL RECEIVE ONE OF THE SOUTHERN USA LOGO CROWNS AND BE ON THE NATIONAL SUNSHINE COURT. REMEMBER WE HAVE THE SIBLING DISCOUNT. FIRST CHILD REGISTRATION FULL, SECOND CHILD 1/2 REGISTRATION AND THIRD CHILD IS FREE!!! WOW!!!! WHAT A DEAL!! CONGRATULATIONS!!!! YOUR SUPREME PACKAGE IS PAID TO THE SOUTHERN USA NATIONAL PAGEANT WHEN YOU COME TO SUSA NATIONALS TO REPRESENT YOUR STATE. The Supreme package pays: Beauty, Sportswear or Casualwear, Photogenic, Best Dressed, Best Smile, Most Beautiful, Overalls to each of the above plus the Grands. ALL THESE EVENTS ARE PAID!!! Please e-mail or call us for an entry form. YOU COULD GO HOME WITH A $5,000.00 SAVINGS BOND. The SUSA State Competition and National Competition will be at the same time. You may win Both Titles. Hurry, Let us know you would like us to send you the SUSA National entry form with the pageant cash and the supreme package marked paid. THIS PAGEANT IS VERY SMALL. SOME OF THE GROUPS HAVE 0 CONTESTANTS. EACH AGE DIVISION HAS 3 QUEENS/KINGS. WE WILL NOT CANCEL THIS PAGEANT. WE WILL NOT COMBINED ANY OF THE AGE DIVISIONS. FOR A DAY OF FUN. WE WILL HAVE A LARGE DRESSING ROOM. YOU DO NOT HAVE TO STAY AT EDGEWATER RESORT. THIS IS A ONE DAY PAGEANT. COME WIN A $1,000.00 SAVINGS BOND. IF YOU ARE ONE OF THE QUEENS, YOU MAY SELECT ONE OF OUR MANY 10" AND BUCKET LOGO CROWNS. THEY ARE BEAUTIFUL!!!! Every contestant will receive a nice trophy and crown from each pageant, plus have their fees paid to the National pageant!! Monogrammed Banners Will Be Awarded. Question: Are the photo contest natural or glitz? Answer: We are taking both they are being judged on each photos own merits. We have Grand Supremes, Boy Grands and Talent titles too. You only need Beauty to win one of the Miss or Mr Elegance titles!!! Paperwork now available on our website with a data enterable application page. We have earlybird specials too!! We have had over 75 contestants the last 3 years!!! Only $95 to compete and win one of the HUGE new custom crowns!! New England is beautiful in the summer, make it a vacation. Boston is only 90 minutes away and New York City is only 90 minutes away too. Or visit the Mystic Seaport Aqauarium in CT or the World's largest casino right here in CT too!!! ONE DAY NATIONAL FOR YOUR BREAKDOWN!! COMPETITION AND CROWNING IN THE SAME DAY!!! 6 FOOT TROPHIES, FUR-TRIMMED ROBES, SUSA TOTE BAGS, BEAUTIFUL 10" SOUTHERN USA NATIONAL CROWNS, CUSTOM DESIGNED TROPHIES, ENGRAVED PLAGUES, FUR-TRIMMED ROBES, GIFTS, AND MUCH MORE!!! !